The wasps nest mostly in the ground, tree stumps, rockeries, wall cavities and roof voids. Wasps, particularly the paper nest wasp (Polistes spp. And Ropalidia spp. ), are day-flying insects. They can be caught and destroyed more easily and safely at night, when they have congregated on the paper or mud nest. The paper nest wasps may be removed by enclosing the wasp and nest in sound plastic sheeting or a bag at night, severing the nest’s contact with the surface, and sealing the bag for disposal or release elsewhere. There are some people who are allergic to, and may die form, wasp stings. European wasp. The workers of both species are sterile females about 12-15mm long, with yellow bands on a black body. They are fast flyers, with clear wings that fold longitudinally over their bodies. Queens and males measure about 20mm, the queen having a stout abdomen and male a long thin abdomen. The nest contain up to 4 million cells and over 100,000 workers. Each nest usually lasts one year, but in warmer climates the nest may survive and extend. In winter the males die off, and the newly fertilised queens hibernate to build other nests the following year. The new queen lays eggs in the cells of the nest, and after some weeks in the larval stage the wasps pupate and emerge as adults, which take over the work of the nest. After one summer, the nest may have 10,000 individuals. 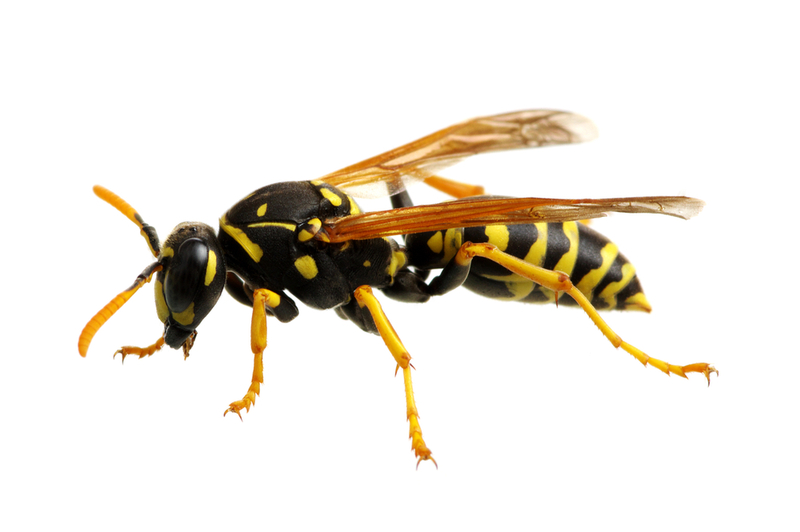 If you have a wasp problem, contact Australian Pest Specialists on 1300 42 42 66 for a pest inspection.